George Bell's Demos of all 32 levels of Icarus, on Ultra-Violence, starting each with a pistol. A minor fix for MAP28 for coop play is available as well. Check our Bugs & Fixes page. 32 all-new levels for DOOM II, with new graphics and music. All these levels are great Solo and Coop levels, and we have paid special attention to Deathmatch too this time. These levels have all been designed with either limited portions of the level accessible during DM play, or with other special tricks that help DM'ers. America On-Line (AOL): Keyword: Quickfind, Select the radio button GAMES, Type "icarus.zip AND Doom2" in the search field (no quotes). Fidonet BBS's around the world. Though we've had to turn them down, several CD-ROM compilations have requested permission to include Icarus on their disks. 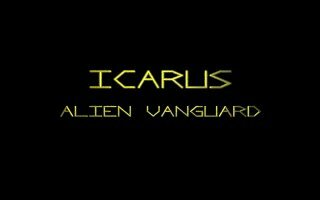 Having a hard time figuring out something in Icarus? Help demos are now available! Download no-monsters demos of all 32 levels of Icarus, and view just the level(s) you need help for. See the text file first if you like.